Non Destructive Testing (NDT) is the examination of an Object with technology that does not affect the objects future use. The process is designed to locate potentially dangerous flaws and defects in materials from aircraft turbine blades to bolts. 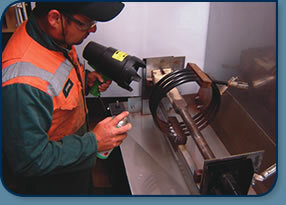 We offer a full repair service if required. We offer a 24 hour 7 days a week service nation wide.